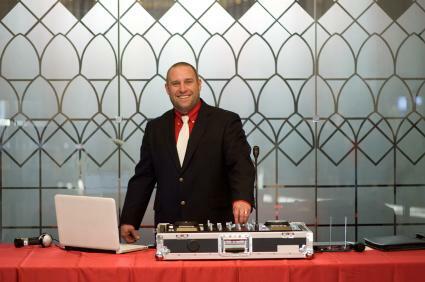 Tips on how to hire a rockin' wedding DJ help you choose an ideal entertainer. The wedding DJ ensures your wedding celebration is fun by playing music and serving as the emcee for reception activities. Word of mouth is a good way to find a great DJ for your wedding dance but if you don't know people who have recently gotten married, you may not be able to get many recommendations from friends or family. Wedding vendors and coordinators may also be able to recommend DJs, but you may not trust their opinions as much as your closest friends. WeDJ.com: Search for a wedding DJ by state and city. Results are sorted into gold, silver, and bronze levels, with a short description, contact information, and recent referrals for each. Scratch Weddings: Get a specialized DJ matched to your event from Scratch. You can even submit an online form to get a quote. This company mainly operates in larger cities across the U.S.
Gig Masters: Scroll through the states to find your city or county listing. Click on your area to find a photo, description, and a price range for a DJ who operates in your area. Once you have a list of potential wedding DJs, you'll need to figure out who is the best one for your reception. This is more than finding someone who is close and fits into your budget. This means you'll need to find one who can set the right tone for your party. Decide if you want someone who is going to simply play music, or one with a little more personality that can get the crowd laughing. The best way to determine whether the DJ is right for your wedding is to see him in action. Contact him and see if you can attend a local event that he is working in the next few weeks. If the events are private, like weddings, ask to review video clips of him working. Be sure to check out how he announces the bridal party and how he handles other emcee duties too. What do you think your main job is at the reception? How do you handle guest song requests? It's time to announce the cake cutting. How would you get everyone's attention? Are there any special "extras" you do throughout the night? If so, what are they? Once you choose a DJ, you'll be asked to sign a contract and put down a deposit to reserve your wedding date. Like other vendors, a wedding DJ will likely request you put down a deposit to reserve your wedding date. Most DJs or DJ companies will require full payment before your event, but may accept tips afterwards if you feel he or she has done a good job. Pricing for the DJ will vary, depending on his or her equipment, experience, and location. DJs may charge a flat rate for a certain number of hours, plus extras, or they may charge by package or hours played. Here is an example of prices. In New Jersey, DJ Willy starts pricing at around $500 and up. 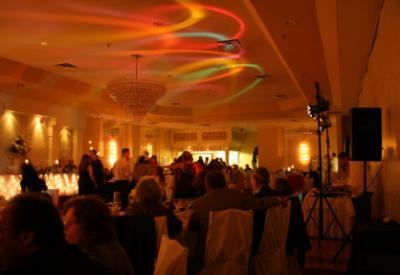 DJs will frequently not offer flat rate pricing until they find out the details of your event. The location, duration, additional duties, and extras you request will all factor into their cost. Once you've chosen your DJ and signed your contract, you can get into the fun part of the process - making sure he knows his duties and your song list. If the DJ is also serving as the emcee for the reception, he will need to know the order of the reception, along with approximate times for special events like the father/daughter dance. Provide the DJ with the names of the bridal party, along with phonetic pronunciations of anything that is hard to pronounce. If the DJ is in charge of any games or activities, he will need to know the rules and who to select for play before the event. Request wedding songs that you enjoy. The DJ can get an idea of the type of music you like by checking out your requested list. However, don't be afraid to let the DJ offer suggestions. He often knows what the popular wedding songs are that get people dancing, and what will keep people in their seats. You'll also want to specify what songs you want to hear for special dances and dedications, if any. Don't forget to give the DJ a "do not play" list, which includes songs you don't find appropriate (such as anything with cuss words), overplayed tunes from the radio, or traditional wedding songs you don't enjoy (like the Chicken Dance). Your choice of a DJ can create a festive atmosphere or annoy your guests so much they leave early. Keep everyone happy by making sure you hire the right person for your wedding reception, and you can dance the night away without a worry.